How do I know if counseling is the right choice? If you have been unable to resolve your problem(s) on your own, and it is persisting despite your best efforts, for more than 3-6 months without change, then it’s probably time for a consultation. If the problem is severe or emerged quickly as a crisis, then seeking counseling right away is in order. If a problem is preventing you or your child from effectively performing in school or work, sleeping and eating well, enjoying time with friends and family, or managing emotions “well enough,” this is a sign that it’s time to get professional help. When is it time to seek professional help for my child or teenager? I’m considering separation or divorce—will couples therapy work? Couples therapy is a good option if you and your partner are interested in finding fewer times of conflict and more moments of joy in your relationship. It also helps partners learn tools to help change long-standing negative patterns of relating. Couples therapy can help relationships where there has been a past affair or emotional injuries. It is not effective if one or both partners have an active or ongoing problem with substances, affairs, or violence, and in this case, we will do our best to offer you a referral to someone who could help. Sometimes people use couples therapy as a way to process feelings in advance of a more amicable separation/divorce. Couples therapy doesn’t work well if you’re actively engaged in the process of legal separation or if you and your partner are already participating in divorce mediation. Do I need professional help for my family—or with my parenting? Most families and parents today rely on classes, online information, literature, and social and family support to keep them informed about parenting skills. It’s wise to consider professional help for your family if one of you isn’t coping well and negative interactions begin to outweigh positive family experiences. If a child or family member is in crisis, seek professional help right away by calling us or reaching out to another local professional. It depends. We offer one-time assessments and ongoing counseling services. Brief counseling consists of one consultation meeting about a discrete issue, or three to five sessions that focus on a straightforward problem. Short-term counseling involves five to 12 sessions and addresses one specific issue with very focused markers of success. Long-term counseling extends to 30 sessions and beyond, and provides ongoing support and treatment for issues that are very complicated or long lasting or for issues that require ongoing maintenance and support. In long-term treatments, the frequency of sessions will ebb and flow according our client’s needs. 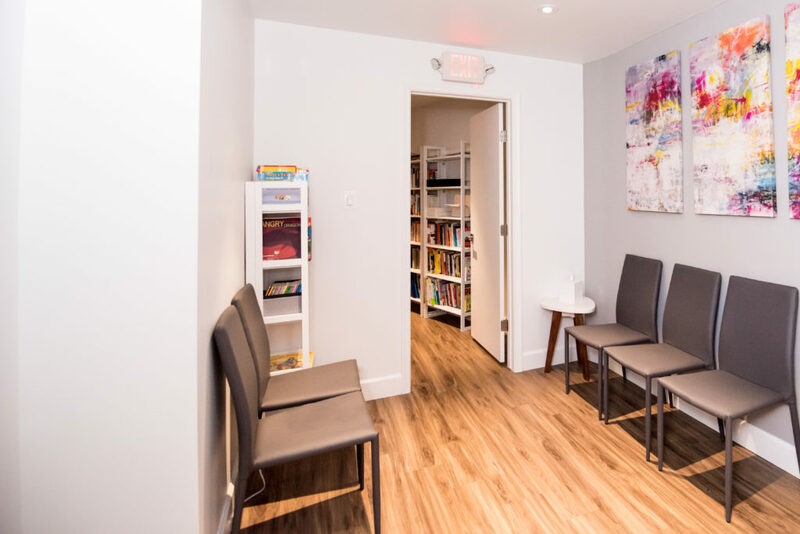 During our initial phone call, we will ask you a lot of questions as we gather information so that we match you with the right therapist based on your needs and each area of specialty. We encourage our clients to ask us a lot of questions during this phone call and during our initial consultation as well. It is helpful to consider whether you would prefer to work with a man or a woman, and the age of the therapist who you feel might be best suited for you or your child or teen. We have therapists who range from their 30s to late 40s. Our work together involves setting initial goals. From these goals, we identify specific “markers” for change that we monitor together. For instance, if you want to feel happier in your relationship with your child, we would measure increased number of positive interactions, fewer fights, and improved episodes of listening well. This term describes therapy that has been researched and compared systematically. If a therapy approach is evidence-based, it means that it has research behind it on its outcomes in comparison to other therapies and in comparison to a no-treatment option. Treatments can be effective and not evidence-based. An effective treatment might show positive results when looking at two different factors. For instance, couples might report improved communication after 10 sessions of couples therapy. However, the therapy would only be evidence-based if it had been tested in a research setting with clinical trials and in comparison with other treatment options. We use both effective and evidence-based therapies (i.e. Cognitive behavioral therapy, Parent Child Interaction Therapy, Emotionally Focused Couples Therapy) in our practice. How do you handle confidentiality with parents when counseling a teen or a child? Respecting a child or teen’s privacy while still involving the parents is of the highest importance to us. What this looks like may vary depending on the age of the child. Parents of younger children participate more often during sessions and are involved more readily in front of the child. As children get older, they seek more privacy and independence. That process is developmentally healthy and can deepen the therapeutic process. When given a safe, private space to explore their own feelings, children begin to work through their feelings so that they feel better and their behavior improves. This process must be balanced with involving parents in therapy. What works with teen clients is to be very transparent about what can be kept confidential and to encourage them to share with their parents or family members as they feel comfortable. We balance a teen’s privacy with both of these expectations in mind. With couples therapy, your therapist will encourage you to talk about the issues that are blocking you and to identify patterns of behavior or communication that may negatively affect your relationship. The therapist guides you and your partner to learn methods of accessing underlying emotions, which, when expressed can help you and your partner connect more fully together. The therapist will also act as a consultant and guide to help you gain greater awareness and can help you identify “homework” between sessions, which will help you and your spouse or partner make progress more quickly. What is adult therapy all about? In adult therapy, we work with you to agree on goals, identify roadblocks and create an action plan to begin work on the issues that are getting in your way. This process might occur through “talk therapy,” or cognitive behavioral therapy, where you learn how to identify and replace negative thoughts and behaviors. It can also occur through longer-term therapy, where you work to unravel what long-term patterns are at play and what steps are needed to create changes in your skills and behaviors for more positive experiences and interactions in your daily life. Adults benefit because they take the time they need to focus on issues that arise out of their relationship as a couple, parenting roles, or their wish for further personal and emotional growth. We currently are not participating with any insurance plans. We provide our clients with a detailed receipt to provide to their insurance companies. We will start with a phone call to gather information. Next we will schedule an initial consultative treatment meeting, to identify your path to feeling better: we will set goals, determine the approach that will work best, and how we will measure progress towards feeling better. These steps will help you to achieve and monitor progress, and will vary according to each person and situation.